Ukiyo-e is a way of painting a picture created in the Edo Period and now ukiyo-e usually indicates Nishiki-e (multicolored print) painted by woodblock print. “Ukiyo” of “ukiyo-e” means “modern,” so the ukiyo-e is depicting the modern life the artist saw. With sustaining its general style of painting, ukiyo-e has been popular among people as a picture showing people’s daily lives and the scenery at each time. The theme of ukiyo-e varies as the Theater, Classical literature, Waka, Customs, Legends or Strange tales of each region, Portraits, Still lifes, Scenery, Cultural enlightenment, Imperial family, Religion, and so forth. The ukiyo-e artists also drew pictures in and on the cover of Japanese books. 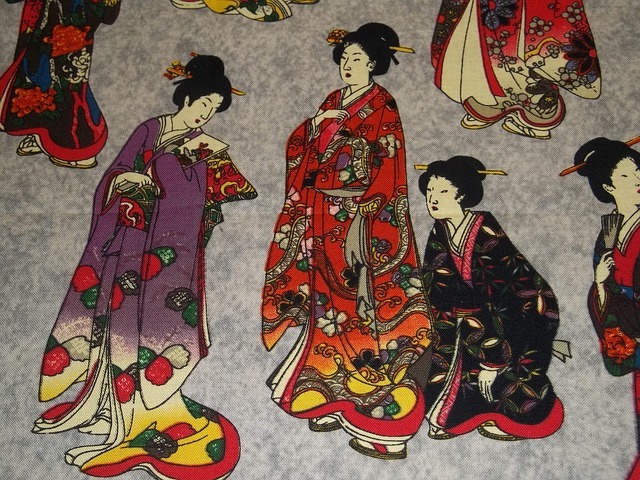 In general meaning, Hikifuda, Kote-e, Doro-e, Glass paintings, Tako-e, Nebuta-e are also counted as some kinds of ukiyo-e.
Ukiyo-e needs a fixed process to complete as it is a kind of print. Carve the woodblock according to the draft. The features of ukiyo-e that cannot be seen in other genre of pictures are the definitely divided processes as “drawing a draft”, “carving the woodblock” and “printing the paper”. And there is an expert in each process. Each one is called “E-shi”, “Hori-shi” and “Suri-shi”. If you want a genuine ukiyo-e painted by an artist. Hyakunin Isshu is a deck of playing cards with Japanese classical poetry written on it.